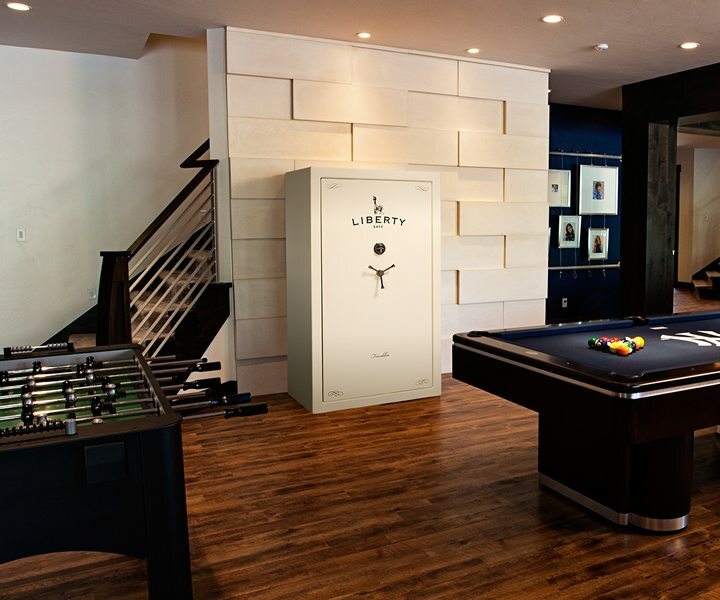 Backed by a 75 minutes of certified fire protection and excellent security, the Liberty Safe Franklin Series is built to last! With 11 beautiful finish options to perfectly compliment your home decor and Liberty’s top rated 4-in-1 Flex™ interior, you can choose a Safe that is perfect for your needs. An Electrical Outlet kit, Interior Lights and Deluxe Door Panel are included in the Franklin Package. This fire rated gun safe is packed with features and options, Franklins are a dynamic blend of Security and Style that is hard to beat! 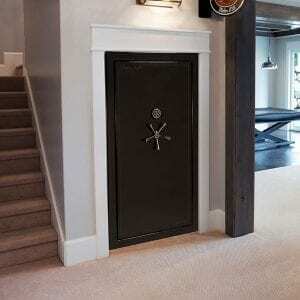 Bigger, Longer and More locking bolts combined with Liberty’s “Tough Door” provide an additional level of security. Take a look at the features below and you will quickly realize that these safes are packed with Features not typically found in safes at this price.